Knowing poker bankroll management is essential if you want to be a successful poker player. Whether you are a beginner, an intermediate or in professional levels, having self-control and staying disciplined by your cash roll is vital. Still, this does not mean that you are allowed to recklessly take the money and put it at stake. If you want to maximise your chances of winning or stay longer at the table, then you need to equip yourself with the necessary online poker tips for proper bankroll management. All poker players, even the ones who regularly win are prone to a loss at some point. The primary task is learning how to manage your money, to avoid going past the threshold. The number one rule of poker gambling is ‘know how much you have in your bankroll and stick to the limit.’ Consequences of having poor bankroll management skills in poker include; bankruptcy, stress, depression and broken relationships. You can avoid all the misfortunes that come from poor bankroll management in poker. 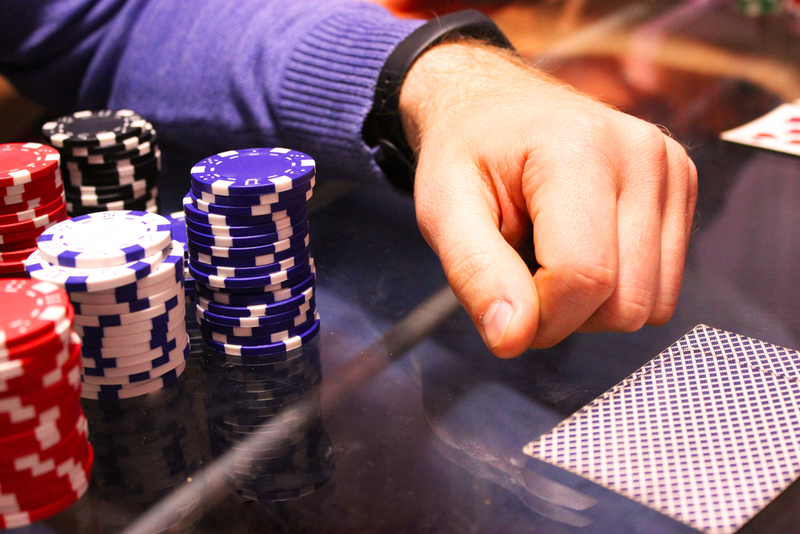 In this article, we present tips and hacks to successful money management in poker. Going into a poker game without being sure of what you plan to do and how you plan to win is not wise. It can be compared to rowing a boat in an ocean, without having a map or floater. Ensure that you have a clear idea about the poker variant you are participating in, the online casino you are using and most importantly, your winning plan. There are various money systems used to play poker, including the Martingale. Player M has a total bankroll of £500 and he has decided to use the Martingale. According to the Martingale, a player is supposed to place double the stake of his previous lost bet. Like, if you bet £10 and lose, you should bet £20 in the next opportunity you get. Therefore, Player M has to ensure that he divides his bankroll in small bits that will help him stay in the game long enough to recover his losses. This tip is especially important for poker players participating in Sit N Go and multi-table tournaments. If you play poker just for recreation or charity, it is advisable that you do not risk more than 10 percent of your bankroll at any given time. Professional and serious players should impose even stricter restrictions on their bankrolls. One of the fastest ways of losing focus during a poker game is by frequently checking on your bankroll balance. If you followed the primary rule of only playing with money that you can afford to lose, then you have less to worry about. Instead of checking your bankroll after every stake you place, you should practice doing the math in your head. All you need is a set limit, of the minimum and maximum amounts you are willing to risk through each round or game. It is correct to state that poker ‘steaming ‘ and ’tilting’ share the number one spot for ‘bankroll killers.’ If you start steaming, your emotions will control your game and you will end up even investing in money that you cannot afford to lose. If you become a ’tilting’ player, you risk even losing more of your bankroll, from the mediocre gameplay. Keep your emotions at bay, even when you are losing. That way, you can bounce back and recover. Otherwise, letting your frustrations take over you at a poker sitting, you risk depleting your bankroll carelessly. Maintain a calm approach and think things through, before placing any stake after losses. All players, including recreational ones, need to take their bankroll seriously. Although some UK poker sites offer poker rakeback every month and cut down your total losses, you still need to take good care of your bankroll, through proper and disciplined management.